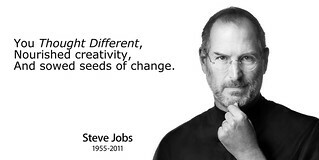 Steve Jobs passed away today. The photo is from the Apple, Inc. website. The Haiku was my first initial attempt at formulating some thoughts. The world has lost a true leader and visionary.